Whether you are saving for a new flat-screen TV or for your first home purchase, the Markesan State Bank offers various savings options for all your personal needs. By keeping service charges to a minimum and setting a very low minimum balance on many of our accounts, we feel we are encouraging all types of savers - the very young as well as the old. By offering these services, the Markesan State Bank allows you to individualize your own financial needs. Automatic Savings Option: Allows you to set up automatic transfers from one account to another. For example, you can have $50.00 taken from your checking account and deposited to your savings account on the 15th of each month. Automatic Loan Payments: Allows you to have your loan payment taken directly out of your savings account and applied to your loan. Direct Deposit: Allows you to have your employer set up an automatic deposit of your paycheck, social security, or other benefit checks. This means your funds are automatically deposited into your account. Your money will be in your account waiting for you to access it at your convenience. 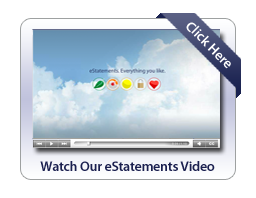 Statement Options: Allows you the convenience of having your statements sent to you via email, through your Internet Banking account, held at the office of your choice or sent to you via normal mail. Interest earned varies depending on the account (see Interest Rate Schedule for current interest rates). All deposit accounts at the Markesan State Bank are FDIC insured, including savings accounts. The standard insurance amount is $250,000.00 per depositor, per insured bank, for each account ownership category. The FDIC provides separate coverage for deposits held in different account ownership categories. Depositors may qualify for more coverage if they have funds in different ownership categories and all FDIC requirements are met. Read more below or stop by one of our four convenient locations, to find out which account will best suit YOUR needs. A minimum opening deposit of $25.00 is required. Requires a daily balance of $25.00 OR have monthly activity to avoid a $1.00 monthly service charge. Interest is calculated on your daily balance and added to your account quarterly. Statements are generated on a monthly or quarterly basis. It is important that saving habits be instilled in our children at an early age. The YOUTH Savings Account encourages children to start saving at an early age. Deposits of $5.00 or more are rewarded with an opportunity to choose a gift from our gift box. It can be hard to budget for holiday spending, and that is why we offer Christmas Club Savings Accounts. With this account, you can deposit money into the account in any amount, whenever you like. Interest is calculated on a daily balance and paid to your account quarterly. In November, you will receive a check for the amount of your Christmas Club Savings Account, just in time for your holiday shopping. For those who have larger savings needs and do not want to be locked in for a specific term such as is required with a Certificate of Deposit, we offer Money Market Savings accounts. Tiered-rate interest structure, which is credited to the account monthly. Statements are generated on a monthly basis. Important Notice: Federal Law limits pre-authorized and automatic transfers/withdrawals to six (6) per month from any savings or money market accounts. Limited activity includes: telephone transfers, internet transfers, automatic payments (also known as ACH payments) and transfers/withdrawals done by check, draft, or similar order, to another bank account of yours, or to a third party. Activity in excess of applicable restrictions may be grounds for closing an account or removing an account's transaction and check privileges. Accounts do allow unlimited in-person (counter or drive-up) transactions or ATM withdrawals.